Happy 85th Birthday Mikhail Sergeyevich Gorbachev! 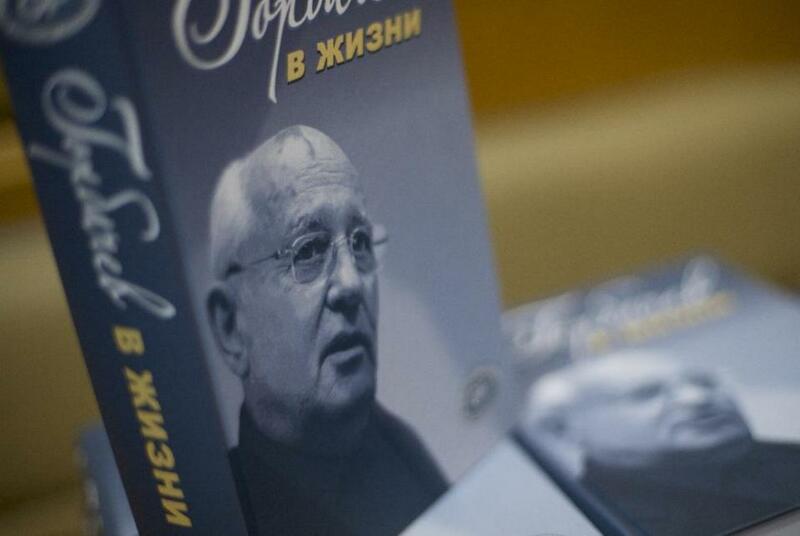 A few days ago in Moscow, Mikhail Gorbachev launched his latest book, “Gorbachev in Life”, a 700-page collection of memories and documents from him and others about his life experiences and the way his glasnost (openness) and perestroika (reform) policies have transformed the world hoping that the book would help Russians better understand their current history. As he celebrates his 85th birthday, the National Security Archive at George Washington University (www.nsarchive.org) has just released this morning a series of previously classified British and American documents with Western assessments of Gorbachev starting before he took office and until end of the Soviet Union in 1991. 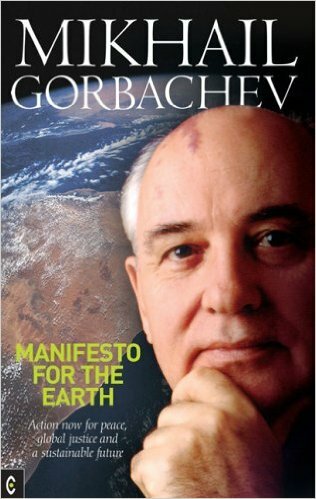 But one book that sheds light on Gorbachev’s commitment to the environment and social justice is his “Manifesto for the Earth”. Few would know that when he became Secretary-General of the Soviet Union in 1985, he got access to information about the scale of pollution coming from chemical plants and factories that were poisoning the environment and sickening people. One of the consequences of the glasnost reforms was access to previously classified information. As a result, the soviet people demanded action and over 1,300 of the most polluting plants were closed. This is how President Gorbachev understood the power of civic engagement and the need to change the relationship and reconcile humanity and nature. Well before the fall of the Berlin Wall he called for the creation of a “Red Cross” for the environment. This idea was then raised during the 1992 Rio Earth Summit. Given the mounting crises of climate change, environmental degradation and social inequality, civil society leaders called for the creation of a Green Cross and for Gorbachev to lead this effort. This is how Green Cross International was launched in 1993. Today, Gorbachev is still at the helm of the organization as its chairman and Green Cross continues to work on addressing the challenges of security, poverty eradication and environmental degradation. 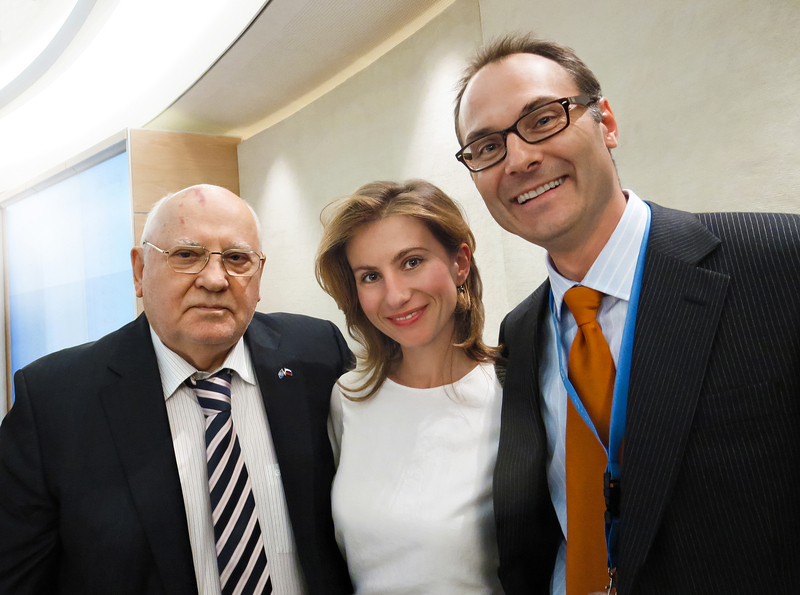 With offices in some 30 countries, activities around the world and initiatives like the Earth Charter International and the Earth Dialogues, Gorbachev’s Green Cross story is still in the making. Through his Manifesto for the Earth, Gorbachev describes how the story began and his quest for peace, social justice and a sustainable future for all.